Ok, so we aren't normal, but who hasn't had this thought themselves? Candy Canes DO make great shanks! 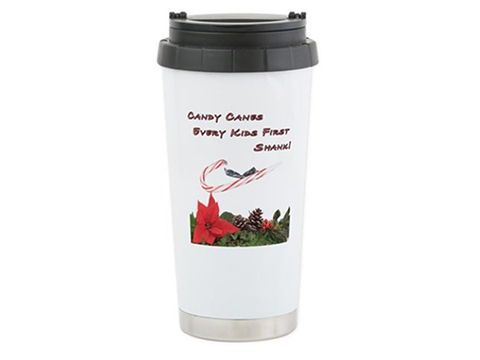 So lighten the holidays up this unique travel mug.